Opponents of nuclear power have warned for years that if spent fuel pools lost water, it could lead to a fire and a catastrophic release of radiation. Now, there have been hydrogen explosions at two of the reactor buildings housing spent fuel pools at the Fukushima Daiichi Nuclear Power Station. Update: As we have noted, there has been a fire and the spent fuel rods of one of Fukushima's reactors are now at risk. Concerns about a radiation release from the Fukushima Daiichi power facility have focused on its stricken nuclear reactors, but the plants of that design also store highly radioactive spent fuel in pools outside the protective containment structure that surrounds the reactor itself. Opponents of nuclear power have warned for years that if these pools drain, either by accident or terrorist attack, it could lead to a fire and a catastrophic release of radiation. Now, there have been hydrogen explosions at two of the reactor buildings housing spent fuel pools at Fukushima. This diagram shows where spent fuel pools are typically located in the 1970s-vintage GE Mark I reactor design in use at Fukushima units 1, 2 and 3, where officials suspect reactor fuel has melted. The fuel that powers a nuclear reactor only works so long. When it is exhausted, it is still radioactive and physically very hot. So it needs to cool in a deep tank of water before it can be stored elsewhere. When the U.S. reactors were built, everyone assumed the government would open a national storage center to handle the tons of radioactive spent fuel from nuclear plants. The proposed Yucca Mountain site in Nevada never opened, so the old fuel sits at nuclear plants across the country. “People should be very concerned because the NRC has acknowledged that spent fuel pools that are not located inside the containment have the potential to cause catastrophic accidents,” said Diane Curran, a lawyer who has represented environmental groups and governments in challenges to fuel storage plans. Crowley said he does not have enough information on the status of the Japanese plants to say whether the pools are vulnerable. The Nuclear Regulatory Commission did not reply to an e-mail for this story. The agency says on its website that it is confident the spent fuel pools at U.S. plants are safe. The nuclear industry disagreed with the national academy about the vulnerability of the spent fuel to a fire. Carl Baab, a spokesman for the Nuclear Energy Institute, said studies show that the risk is low in part because the spent fuel contains relatively little energy compared to the fuel inside the reactor. “The potential for a fire from damage or loss of water is so remote that we believe it is misleading,” he said. Baab also said plant workers only need to replace about 25 gallons of water each day to the fuel pool to maintain water levels in the event that primary systems were knocked out. 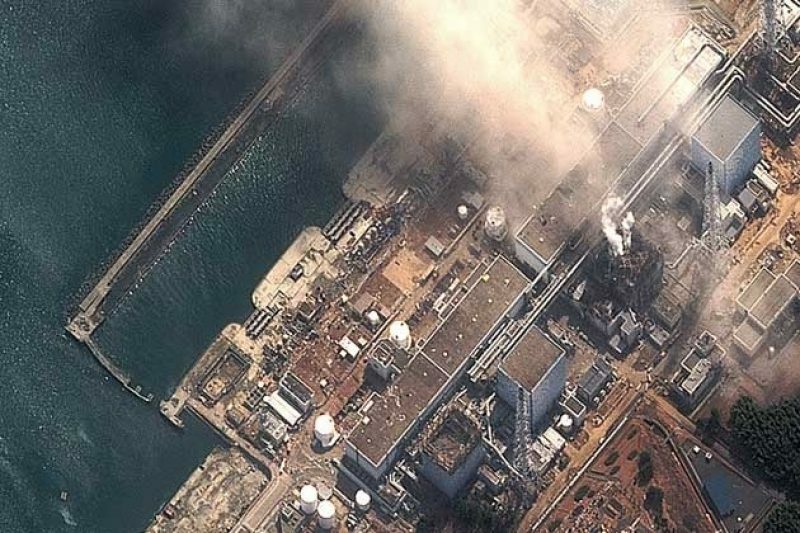 How hydrogen explosions at Fukushima may have affected the spent fuel pools is unclear. Some nuclear plants have moved their older fuel into reinforced metal storage casks that are located away from the reactor building. According to information on the website of Tokyo Electric Power Co., which operates the Fukushima facility, more than 200 tons of spent fuel is stored in casks. Baab said the nuclear power industry has been pushing the federal government to open a long-term storage site for nuclear waste.